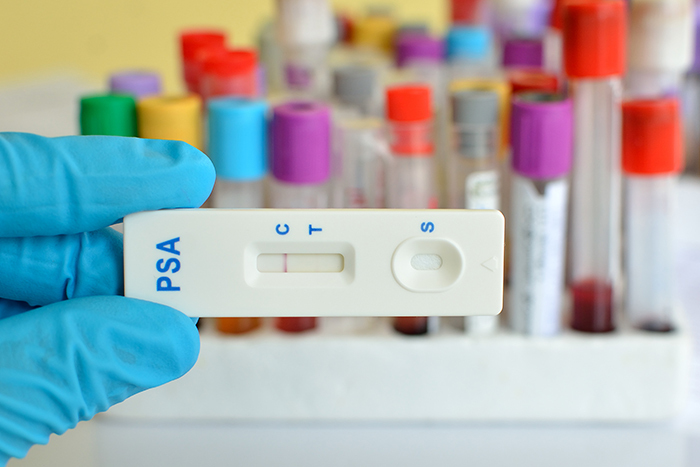 Prostate-specific antigen screenings still have value, but it should be used judiciously. 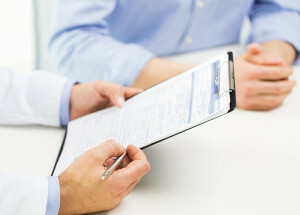 A recent study found that less than one third of men in the U.S. reported having a balanced discussion with their healthcare provider about the pros and cons of undergoing prostate-specific antigen (PSA) testing. His announcement comes at a time when rates of prostate cancer screening and diagnosis are on the decline, due largely to a U.S. Preventive Services Task Force (USPSTF) recommendation in 2012 against routine PSA screening. Before widespread screening began in the late 1980s, more than half of men newly diagnosed with prostate cancer had advanced disease that had spread, or metastasized, beyond the prostate. However, since PSA testing has become more widely used, most prostate cancers have been found in an earlier, more curable stage. Data has proven that primary care physicians aren’t screening patients for prostate cancer as often as they used to. It’s important to use the prostate-specific antigen screening test and other tests more sensibly, and for physicians to discuss the pros and cons of screening with their patients. Elevated levels of PSA in the blood suggest prostate cancer, but they also may indicate a nonmalignant condition. If prostate cancer is present, it often grows slowly, and doctors cannot predict with 100 percent accuracy which cancers will or will not become life-threatening. In determining that the potential harms of the PSA test outweigh its benefits, the USPSTF noted that annual screening with PSA would result in overtreatment of non-lethal prostate cancers, subjecting men to procedures that cause urinary and sexual side effects. Since the task force’s action, studies have found declines in screening rates and new diagnoses of prostate cancer, raising concerns that abandoning PSA screening will lead to an increase in advanced prostate cancer. In fact, in one study, researchers comparing men who underwent prostate biopsy in the 2½ years before and after the USPSTF’s recommendation found that men biopsied after the recommendation had higher PSA levels and were more likely to be diagnosed with higher-stage or high-risk cancer (Journal of Urology, January 2016). The most commonly used prostate cancer screening paradigm entailed screening all men every year starting at age 50, or at a younger age for high-risk men, such as African Americans and men with a personal or family history of prostate cancer. Today, for men who want to be screened, experts favor an individualized approach, based on each patient’s overall risk and initial prostate-specific antigen level. For instance, some experts recommend that all men have a baseline PSA measurement around age 50, based on data showing that it predicts a man’s future odds of developing metastatic prostate cancer or dying from the disease. (Ben Stiller underwent a baseline PSA, which led to his cancer diagnosis, at age 46.) This means basing the strategy on a baseline PSA at age 50—men at a higher risk because of their PSA or other risk factors should be screened every two years, while those not at high risk get tested every five years. Doctors also may recommend newer tests, such as the Prostate Health Index and OPKO 4Kscore. These tests, used along with PSA, can help determine which men are more likely to be harboring aggressive prostate cancer and thus reduce the number of unnecessary prostate biopsies. Plus, newer genetic tests can identify which men are better candidates for active surveillance, helping to limit overtreatment of indolent prostate cancer. For some men who’ve been screened for years, the PSA becomes a safety net, one they aren’t willing to abandon. Yet, most experts agree that prostate cancer screening should be considered only among men more likely to benefit from it: for example, those expected to live at least 10 years and higher-risk groups. Data also suggests that if your prostate-specific antigen level is below 2 [ng/ml] at the age of 60, then you’re highly unlikely to get metastatic disease or die from prostate cancer, meaning that you might not want to stop getting screened entirely, but you could get screened less frequently. Several medical organizations recommend that men engage in shared decision-making with their doctors, carefully reviewing the pros, cons, and scientific uncertainty about prostate cancer screening. As part of that process, consider your individual risk (based on your age, race, and family/personal history of prostate cancer) as well as your personal values regarding screening. 4Kscore, about prostate cancer, active surveillance, advanced prostate cancer, aggressive prostate cancer, cancer, cancer diagnosis, cancer screening, cancers, health, health news, history of prostate cancer, metastatic disease, metastatic prostate cancer, Prostate, prostate biopsy, prostate cancer, prostate cancer meaning, prostate cancer screening, prostate health, prostate health index, prostate specific antigen, psa, psa levels, psa measurement, psa screening, psa test, psa testing, side effects, university health news.